This was my first GP experience in the UK. I must say it was worth what I paid. Doctor Bernard is excellent, warm, professional and she really cares about her patient. I will definitely recommend La Clinique Française, all the staff were very nice, warm & helpful. Thank you for doing your job with sincere consideration for your patient. Doctor Benard is an excellent professional. I have already recommended her to my colleagues and friends. Very good staff and good doctors. 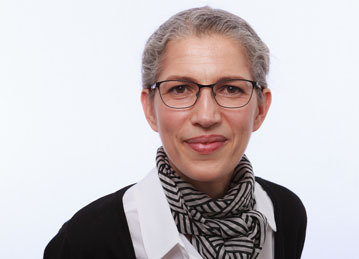 Dr Isabelle Bénard trained and qualified in general practice in Paris, France. She then moved to London in 2001 and worked for the following 12 years in a busy NHS practice on London's South Bank. She now spends most of her time in private practice and also works as a GP with a special interest in Dermatology in an NHS community clinic. Dr Bénard deals with all types of acute and chronic diseases in both children and adults and also has special interests in Women's Health and Dermatology. She gained her diploma in Dermatology from Cardiff University in 2008 and a further diploma in Women's Health from Royal College of Obstetricians and Gynaecologists in 2012. She also practises at the nearby Palace Gate General Practice. Dr Bénard is married with four children and is fluent in English, French and has a good knowledge of Spanish. She consults in all three languages. Dr Benard has been my GP for the past 3 years. She is brilliant, very competent and knowledgeable with a solid 360 medical background for the different family issues. She is gentle and very professional. Dr Benard helped tremendously my family on a number of different issues. I would highly recommend her. Great and personal experience - very efficient booking process too. Dr Benard is a great doctor. It was very good, merci! Doctor Benard was amazing, friendly, and very professional. Dr Benard was very calm and patient. She asked all the right questions and took her time during the examination to make sure everything was thoroughly checked. She offered very helpful advice as well as the contact of another specialist that could be useful for me. I am very happy to have found Dr Benard, highy recommend her as GP. The doctor and the team are always extremely welcoming and easy to talk to. A lovely atmosphere and a great doctor. Excellent service overall at The Medical Chambers. Dr Benard has been particularly efficient and supportive. I am already recommending her to my friends and family. A very good experience. Excellent and very warm doctor.